It’s Wednesday and Young Suk Hwang (a current AY student of mine) is half way through his last week at EC San Francisco. With afternoon electives starting at 1pm, we spent the last ten minutes of our lunch-break chatting in Judah, a quiet classroom where Young-Suk could gather his thoughts and tell me a little bit more about why he is here exactly. Harrison: Why have you come to EC San Francisco? Young Suk: At first I tried to escape from my country for a good reason. I’ve lived in Korea for almost twenty years so I thought I needed somewhere to live outside of Korea. Somewhere I could experience another cultrure. America is one of the largest, most powerful and diverse countries. In Korea we have a lot of American influence, so I believe it’s a good place to live for a while. Harrison: Are you happy with the progress you’ve made since you’ve been here? Young Suk: Yes, I do believe that my speaking and basic survival skills have improved. I’m happy with my writing and reading skills although they can always be better! Harrison: How do you think you can improve these particular skills? Young Suk: I know that I should keep reading newspapers, magazines and anything academic. As for writing, I should try to practice structuring my use of English. Harrison: As you know, it is your last week here at EC San Francisco. Are you flying back to Korea? Young Suk: No, actually I’m planning to visit my cousin in LA. Then I’ll go to EC Boston to continue my Engish studies. Harrison: That’s excellent, really great to hear! And are you going to maybe visit our new centre in LA? Young Suk: Maybe I could haha. Harrison: Well it’s in a nice location. Santa Monica’s a beautiful beach. The weather will cold in Boston though so wrap up warm! Thinking beyond EC and your learning of English, what do you hope to achieve in the future? 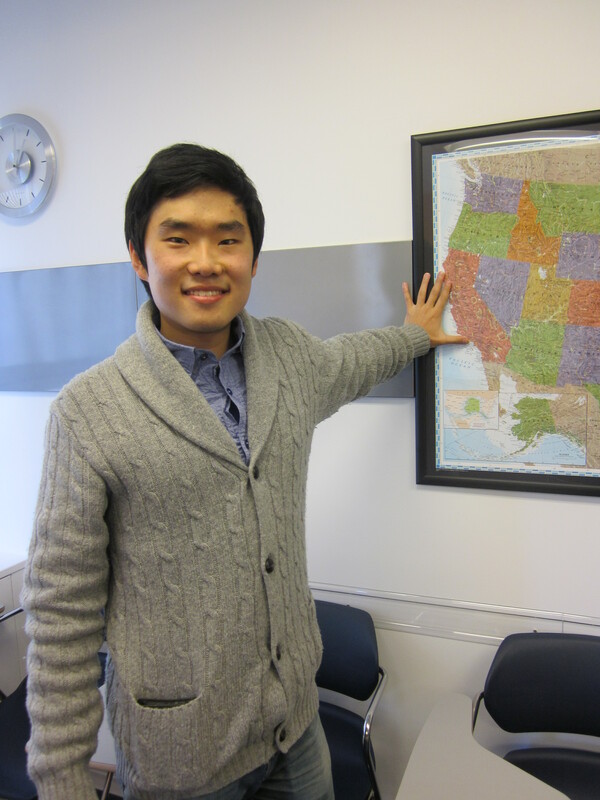 Young Suk: English is the most privileged language in the world. If you can speak it, you can do anything I believe- get a job in a foreign country or study higher education at another institution. I hope to study and go abroad in the future and definitely, this EC lifestyle will be very helpful for my career. Harrison: Well, thank you for talking. I’m going to have to stop you there because it’s 1 o’clock and… you’ve got a class to get to! Young Suk: Haha yeah, no problem. Thank you.